I had intended to publish a review of John Cleese’s autobiography So, Anyway, but I find myself travelling and without my notes. Another time. [See here!] Instead, as I have a copy of Oliver Sacks’ On the Move: A Life (which I am reading with great enjoyment), I think I want to encourage you to get in the swim with Dr Sacks. Friends and followers will know that I enjoy swimming. I’ve written a number of posts about it over the years. (Most recently here at Stops and Stories.) One of the positive features of swimming is that it clears my mind in a way that allows creative thought. One of the disadvantages is I have to hold in my head the great ideas I have while I’m swimming. Hold them until I can get to either a notepad or a recording device. I was delighted to read, in On the Move, that Dr Sacks had exactly the same problem. He solved it differently, though. Life at Lake Jeff was healthy and monastic… [I]n the long summer days I would cycle for hours. I would often stop at the old cider mill near the hotel and get two half gallon jugs of hard cider, which I would hang on the handlebars. I love cider, and the half gallons, sipped gradually and symmetrically – a mouthful from this jug, a mouthful from that – would keep me hydrated and slightly tipsy through a long day of cycling. …the greatest joy of all was swimming in the placid lake, where there might be an occasional fisherman lounging in a row boat but no motorboats or jetskis to threaten the unwary swimmer… Swimming timelessly, without fear or fret, relaxed me and got my brain going. Thoughts and images, sometimes whole paragraphs, would start to swim through my mind, and I had to land every so often to pour them onto a yellow pad I kept on a picnic table by the side of the lake. I had such a sense of urgency sometimes that I did not have time to dry myself but rushed wet and dripping to the pad. As a result, these notes for Oliver Sacks’ book (it became A Leg to Stand On) were handwritten, blotted, and almost illegible. Jim Silberman, my editor and publisher in America, was disconcerted when I send him the Lake Jeff section of the book. He had not received a handwritten manuscript for 30 years, he said, and this one looked as if it had been dropped in the bath. He said it would have to be not just typed but be deciphered, and he sent it to one of his former editors… My illegible, water-stained manuscript with its ragged incomplete sentences, arrows, and indecisive crossings out came back beautifully typed and annotated with wise editorial comments. 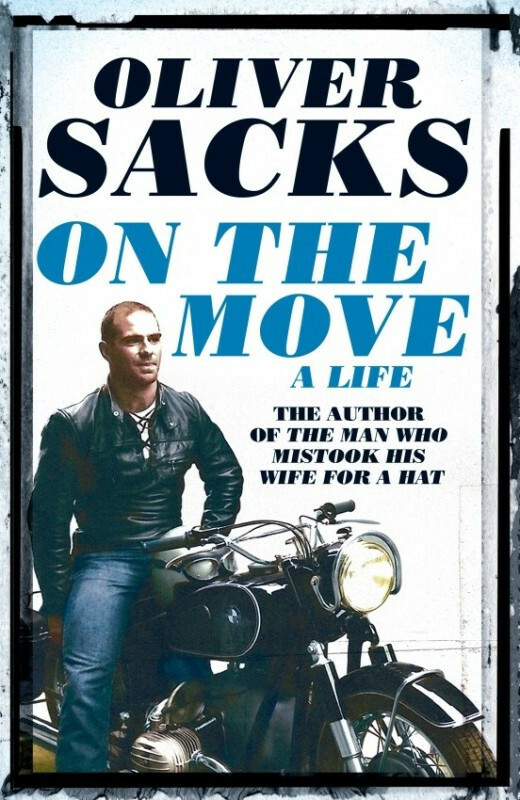 I can’t help but think that Oliver Sacks’ earlier success – Awakenings – helped. His editors and publishers knew the quality of his writing. They were prepared to tolerate a little eccentricity in manuscript submission. If I – or any unknown author – were to submit to a publisher a handwritten manuscript that had been composed poolside, I think I would be guaranteed a rejection. By the way, reading Oliver Sacks’ book I find myself wondering if he ever met John Cleese. Neither one mentions the other in their respective books, but they were of more or less the same age. Also they both knew Jonathan Miller. Sacks went to school with Miller in London and they were friends throughout their lives. Miller and Cleese were both undergraduates at Cambridge University and members of the Cambridge Footlights, though at slightly different times. Cleese describes how he first saw Jonathan Miller when Miller performed in Beyond the Fringe with Peter Cook, Dudley Moore and Alan Bennett. Later Cleese himself performed with Miller in sketches for The Secret Policeman’s Ball – the series of comedy shows put on in aid of Amnesty. There is no reason in the world why Cleese and Sacks should have got to know one another. The only reason I associate them now is because I’ve just read both their autobiographies. (Which both include photos of the respective authors with Miller.) But I think they might have enjoyed one another’s company. I imagine them both swimming in Lake Jeff, coming up with ideas at the same time and racing one another to the lakeside to be the first to reach that yellow pad. Ah the magic of imagination, eh? I originally published this article on the separate At the Quill website. Moved it here (after a little editing for SEO) 2nd February 2017.